An essay written by Dr Christopher Wiley, entitled ‘Musical Biography and the Myth of the Muse’, has appeared as the final chapter of a new anthology in which 17 international musicologists subject the writing of music history to groundbreaking scrutiny. 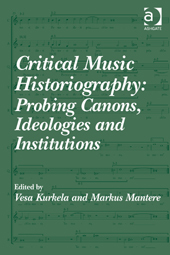 Critical Music Historiography: Probing Canons, Ideologies and Institutions is edited by Vesa Kurkela and Markus Mantere, and developed from the Radical Music History Symposium held at the Sibelius Academy, Finland (now part of the University of the Arts Helsinki) in December 2011, at which Dr Wiley presented a paper. Dr Wiley’s essay explores the pattern in musical biography of specific female characters being cast in the role of ‘muse’ to a male genius, rising to prominence at specific points in that person’s life story as a signifier of their productivity and increasing artistic powers. Such women were thereby portrayed as having inspired their associated composer to greater heights, while implicitly denied the possibility of undertaking analogous creative activity themselves. Wiley, Christopher. ‘Musical Biography and the Myth of the Muse’, in Vesa Kurkela and Markus Mantere eds. Critical Music Historiography: Probing Canons, Ideologies and Institutions. 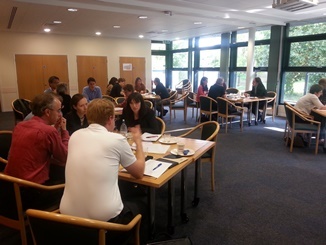 Farnham: Ashgate, 2015, pp. 251–61.